OTL = Output Transformerless. 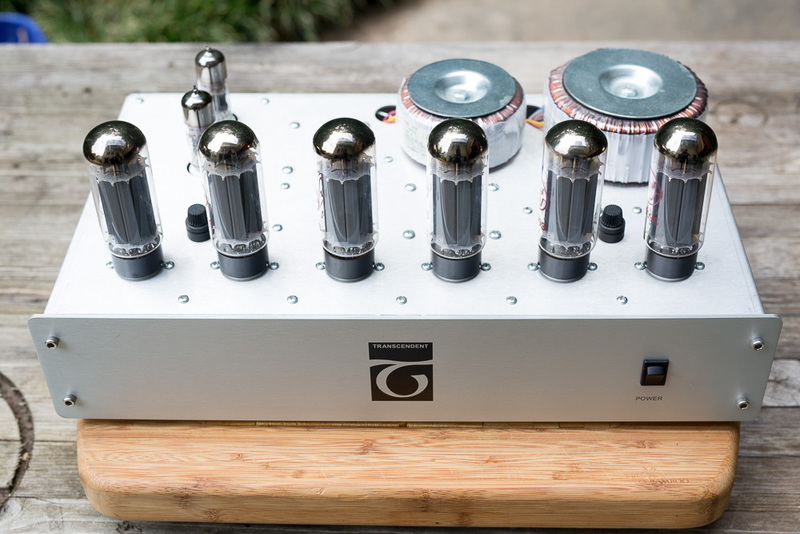 No output transformer is required in an OTL design, rather the tubes are directly coupled to the speaker. This is technically quite hard to do and few tube amps designs have followed this path. Transcendent Sound, the brain-child of Bruce Rozenblit is one of a very few exceptions to this rule. 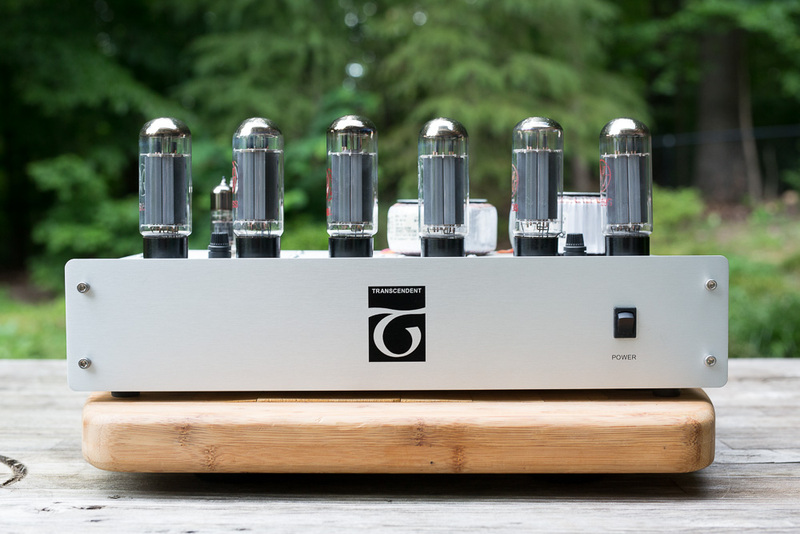 So to start out by giving some background: in a “normal” tube amp the design requires a high quality output transformer to make the connection from the tube to the speaker. 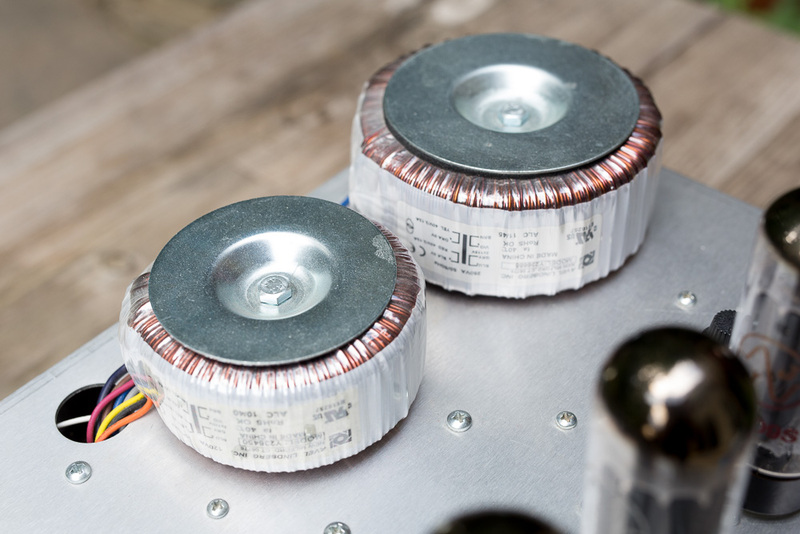 This is a critical link, and due to the difficulty in winding a really good transformer, high quality air-gapped transformers are both rare and expensive. As of this writing in mid-2018, a pair of high quality single-ended Japanese permalloy core transformers from a brand like Tamura will cost you well over $2000. 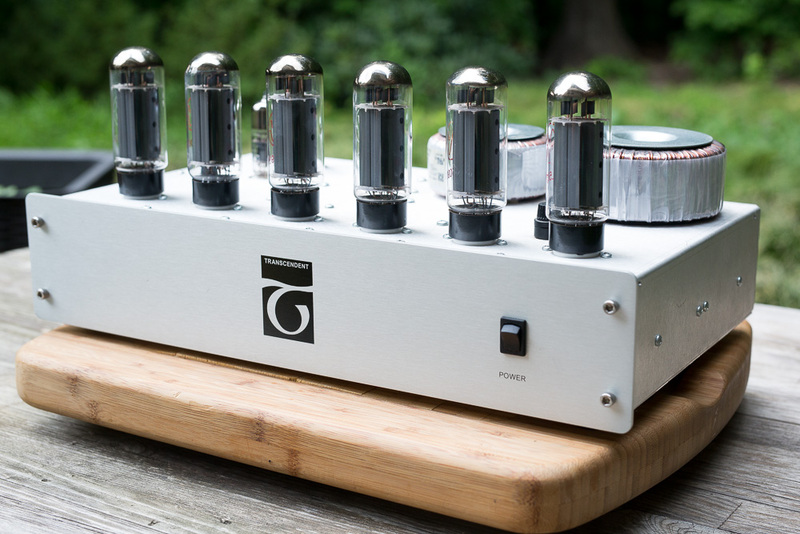 But, for a tube amp the output transformers are absolutely critical, and their quality makes or breaks the performance of the entire amplifier. OTL amps get around that problem by coupling the tube to the speaker directly. This requires a lot of tubes to build up the signal enough to make that connection possible, so OTL amps are usually a veritable forest of tubes and as a result they tend to make a lot of waste heat. But by eliminating the output transformer, OTL offers a purity of signal that transformer-based amps can’t match, at least on paper. 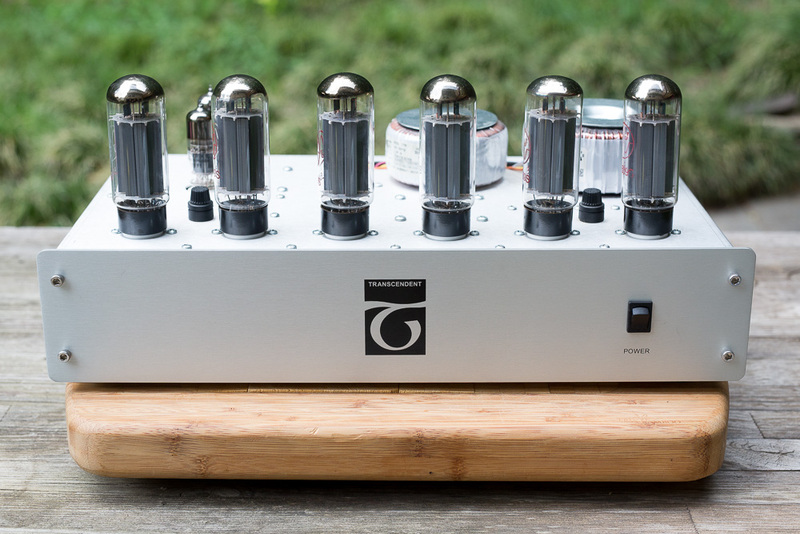 I’m glossing over quite a bit and its worth doing some research before jumping in, but after hearing this amazing amplifier I can say that OTL is definitely worth pursuing. This is one of the fastest and most detailed amplifiers I have ever heard! 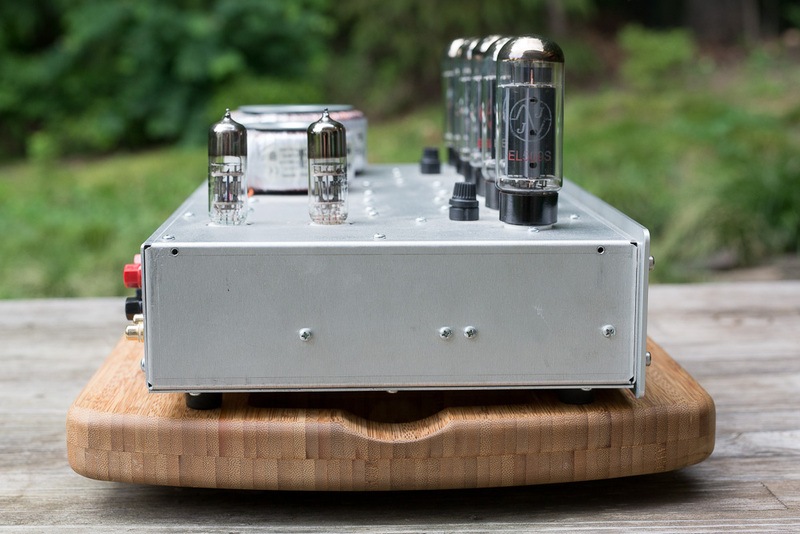 In the Transcendent Mini Beast we have a truly innovative OTL amplifier design. Normally available as a kit, this particular amp was factory assembled by Bruce himself. This single ended class A OTL amp uses 3 EL152A tubes per channel to build up the signal enough for, in this case, 4 or so watts of supreme dynamics and in the room vocals and instruments. This amp has speed and dynamics in spades, and sounds big and effortlessly detailed. Immediately upon first startup with a well known chosen track (the make it or break it moment), new details were unveiled; the low voice of a person speaking far in the background at the start of the recording that I’d never heard before. Other examples quickly followed, but suffice to say that this one resolves everything on the recording; the intake of breath before a vocal and the closing of the mouth afterward, etc. Unfortunately this also includes tape noise, stray artifacts in the recording studio and other dirt. Its not the amplifier’s fault, its just rendering the program material with ruthless authority. In direct comparison to a top-shelf transformer based SET amp, in this case the Yamamoto A-08, with both driven by the wonderful Minimax preamplifier, the Mini Beast exceeds it in detail retrieval and its sound stage may even sound slightly “bigger” than the Yamamoto. Where it falls short, for me, is in the “emotional” or “euphoric” realm, where the Yamamoto just excels. To me, the Mini Beast sounds clinical in comparison, not brittle or strained, but it comes across as more “artificial” in comparison, even though it is probably more accurate. However, I’d much rather spend 12 hours listening to the Yamamoto than the Transcendent; the Mini Beast is ultimately fatiguing for me. Some will disagree entirely though, and that's the nature of a subjective comparison like this one. Speakers, sources, etc all have a lot to do with the end product. I’d be willing to bet that no one who hears the Transcendent Mini Beast will think it sounds bad though, its an amazing amplifier with a magnificent sound. I simply prefer the transformer-based 45 SET. 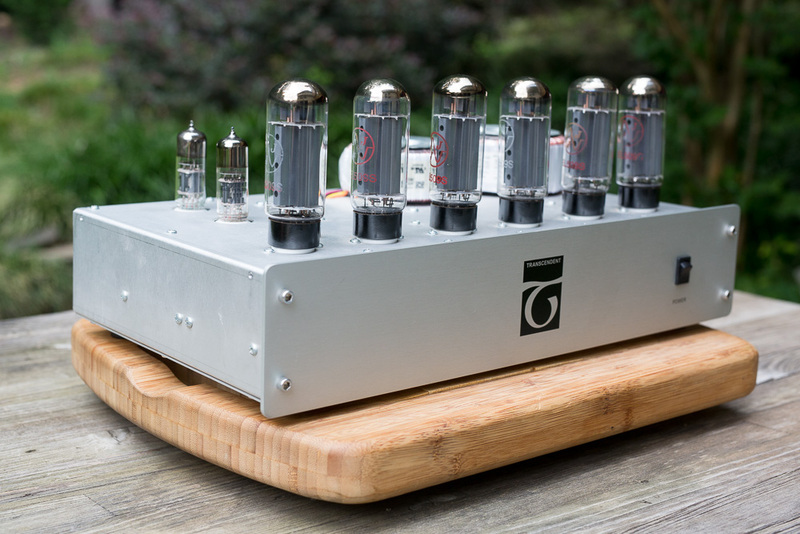 3 EL509S tubes per channel. 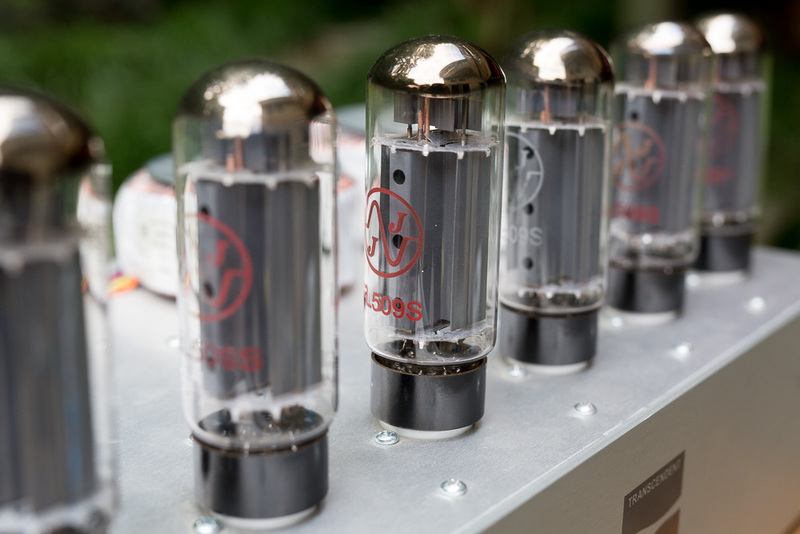 These are a modern take on an older tube, and new tubes seem to only be available through JJ. 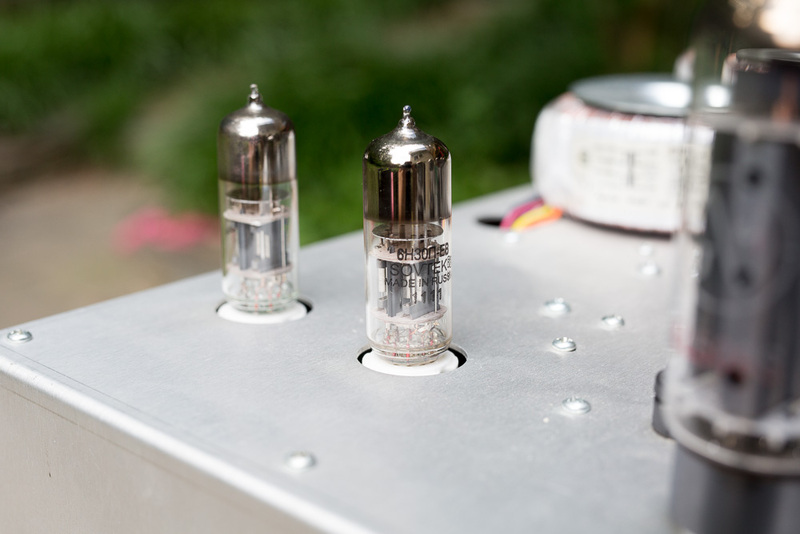 In this amp, the large pentode is triode connected for 4 watts of class A single ended power. 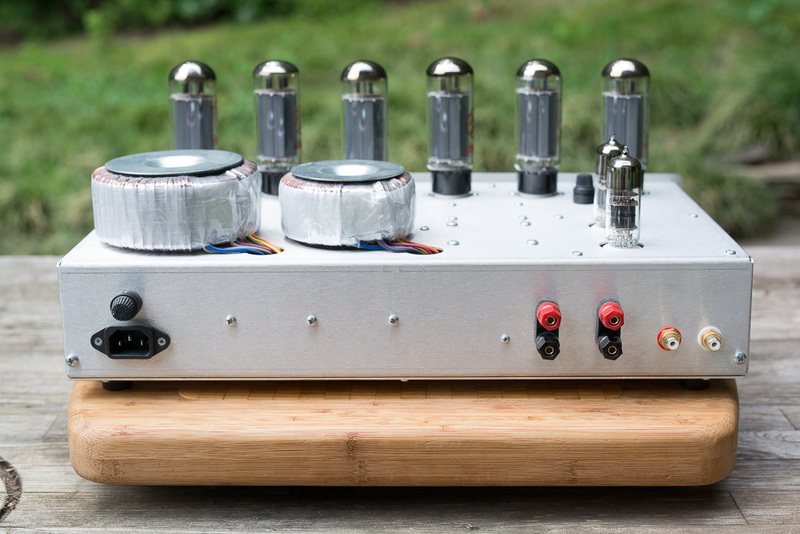 This amp uses the Sovtek 6H30PI as a driver tube.